Well how adorable it this bath bomb? I just can’t get over utterly cute it is. 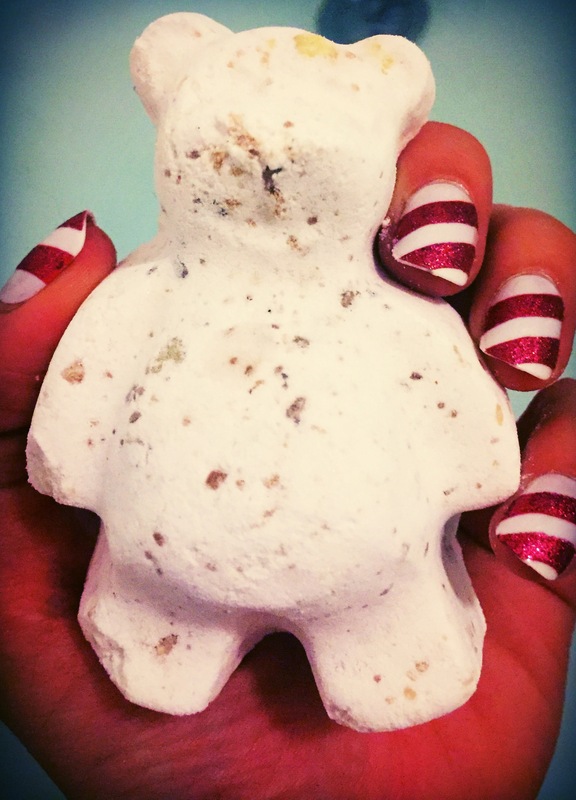 At Christmas time lush like to redesign there very popular butterball bath bomb, this year (and last) it has been made into this cute little bear for the festive season. At only £1.95 this is one of the cheapest bath bombs that lush have to offer, making it a little more affordable than some of their other products. On the down side this little bear is indeed little and is a lot smaller than your average bath bomb. 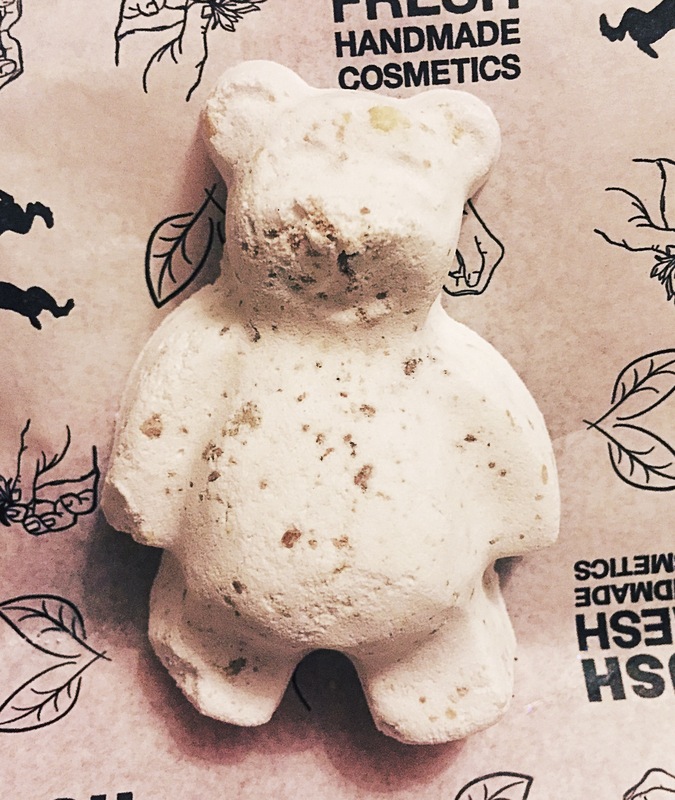 The butterbear has quite a subtle scent compared to the other bath bombs available. It has a very gentle vanilla scent, with a slight hint of chocolate due to the cocoa powder it contains. Its scent really is that simple and it doesn’t particular offer a strong scent when it is added in the water either. Personally I really enjoy it’s non strong sent as it makes it a great bath bomb to use with other products such as bubble bars or just as a break from the more stronger scents lush has to offer. 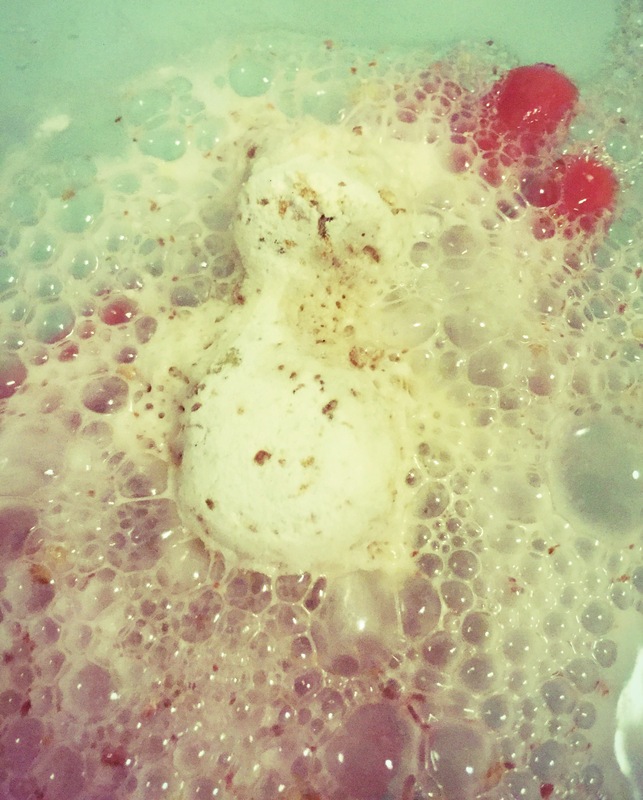 Once popped in the water the butter bear starts to fizz very very fast. This is in fact one of the fastest fizzing and dissolving products I have used. As it fizzes away it turn the water a lovely milky white and little blobs of chocolate coloured oil float to the surface of the water. These are in fact pieces of cocoa butter, which in turn melt and create a very moisturising bath. It is like using a bath oil along with you bath bomb. Overall I really love this product. the butterbear has really found his own this year as you can now also buy bags and scarfs with this little bear on as well as it having its own gift set. Ingredients – Sodium Bicarbonate, Citric Acid, Fair Trade Colombian Cocoa Butter, Synthetic Musk, Ylang Ylang Oil, Cocoa Powder, Water (Aqua), Perfume. I just got a plastic bear for xmas but, for the life of me and my husband, we cannot get the thing open. We tried everything. What a terrible design! Please advise.